ATMs look to the future … except that the future’s already been around for a while. 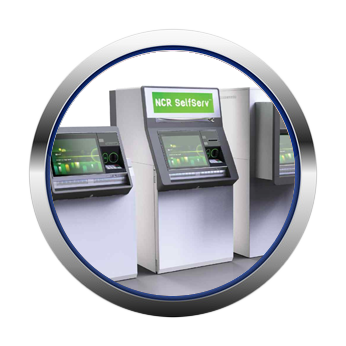 The new SelfServ 80 ATM from NCR. 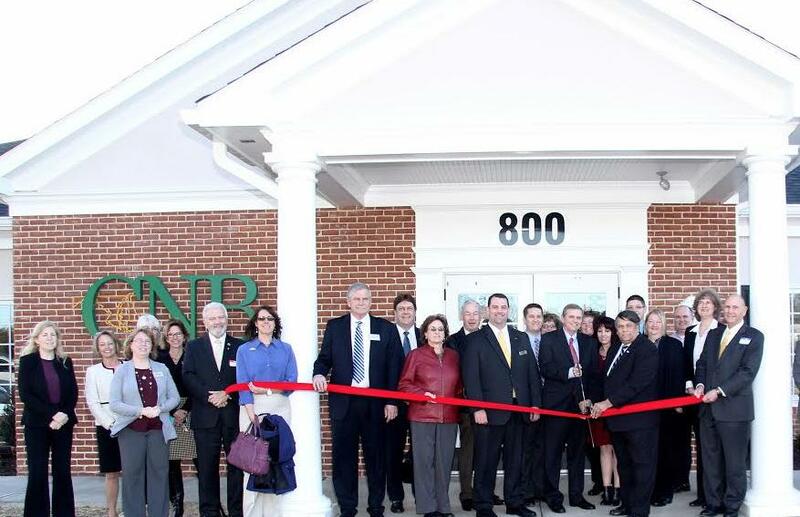 It was a rather breathless piece reporting that NCR (once called National Cash Register) will be introducing a new ATM dubbed the SelfServ 80 to a number of major banks as well as several community banking organizations. In addition to dispensing cash, the SelfServ 80 machines have large touchscreens and video conferencing capabilities that will enable banking customers to do “virtually anything” they’d normally go into the bank to transact, according to the news article. This includes applying for loans or credit cards – or any other communications that would typically occur with a bank officer. It sounds quite intriguing – and major step forward for ATMs, which haven’t changed that much since they were unveiled decades ago. … Or maybe they have? Most consumer-facing businesses which send out monthly statements to customers put a barcode on the bottom of the statement. The ATMs have barcode scanners and so, when paying a bill, you just scan the barcode at the ATM. 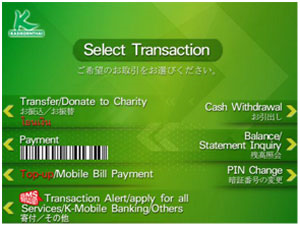 All transactions take effect instantaneously. 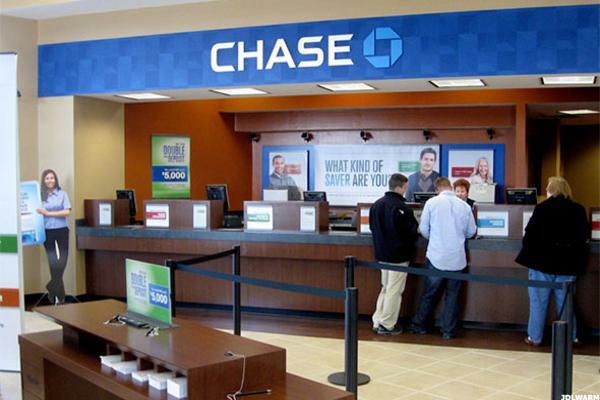 These services are available at any ATM – not just the ones at bank branches. 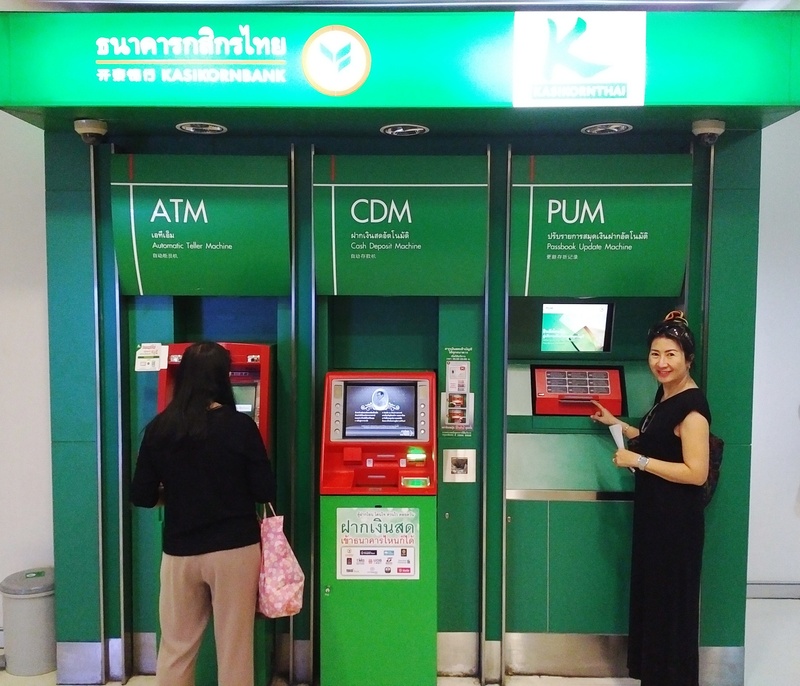 As an example, every single one of Thailand’s approximately 9,400 7-Eleven stores has full-service ATMs for all the country’s banks. These machines allow you to deposit cash straight into your bank account – with or without a debit card. The machines come with money counters; just put your bank notes in the slot (local currency only) and the machine will count them for you. Passbook accounts might be a thing of the past in the United States, but they are still widely used in Thailand. Want to update your passbook? Just go to any PUM and insert your book. 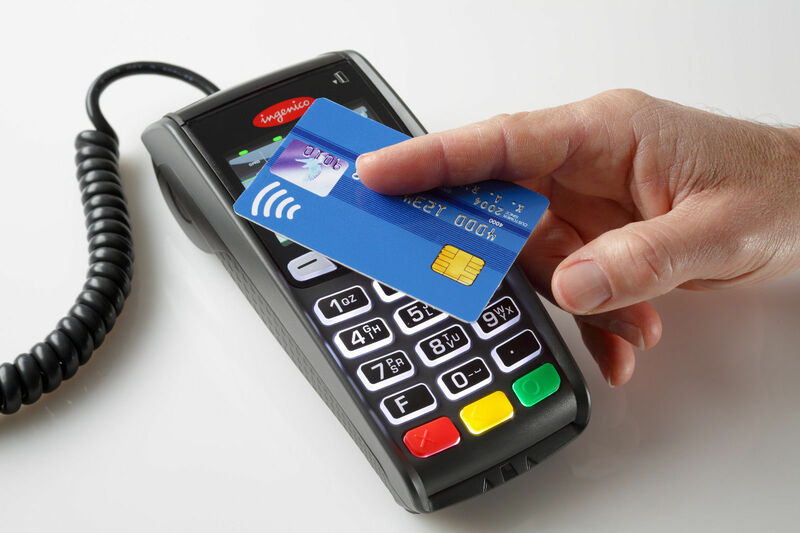 The machine will read it and then print all the transactions needed to bring it fully up to date. Of all the places I’ve ever visited, Thailand has the most automated banking machinery I’ve ever seen. Imagine that: United States banking and commerce trying to keep up with … Thailand! What about you? If you’ve encountered similarly sophisticated financial services automation in other countries that makes the U.S. system seem hopelessly outmoded, please share your experiences as well. 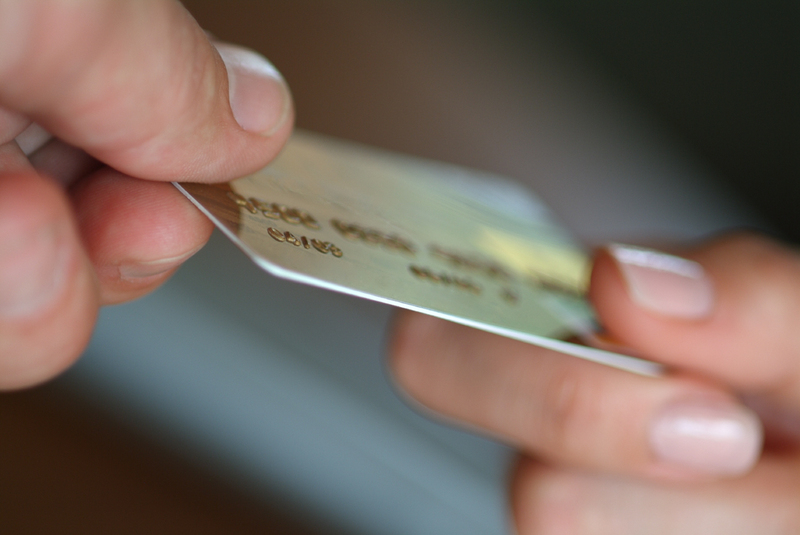 Rising credit card balances: A double-edged sword? Sure, it signifies growing economic strength and confidence … but what about the downside? According to the latest estimates, U.S. credit card balances are expected to hit $1 trillion by the end of 2016. It’s a milestone of sorts. After all, the last time Americans’ total credit card balances exceeded $1 trillion was in 2008, just before the onset of the “Great Recession” as the housing/financial crisis intensified. Does this new peak herald the end of the frugal consumer spending habits which transpired in the wake of the recession? Perhaps so … but a good deal of the explanation reflects on the financial institutions themselves, who began opening the spigot by relaxing restrictions on signing up subprime consumers. They’ve also begun raising credit limit amounts. All this is a change from before, when credit-tightening was the name of the game from 2009 onwards. Part of what’s driving the new policies is the fact that credit cards represent one of the few bright spots in consumer finance at the moment. To illustrate the point, large credit-card issuer Capital One reports a year-over-year gain of nearly 15% in the 1st quarter of 2016 compared to a year earlier. Other major issuers — Citigroup, J.P. Morgan Chase and Discover Financial Services among them — also have experienced significant gains. By contrast, other consumer lending activities are far less lucrative, because low interest rates make margins on traditional lending very low. I wonder if the rush to ply subprime borrowers with new general-purpose credit cards is a smart long-term proposition, however. Nearly 11 million such cards were issued in 2015. That’s ~25% higher than in 2014 and the highest number of such cards issued annually since 2007. Couldn’t the next bout of economic turbulence put us right back into a bevy of defaults as before? And aren’t we seeing hints of this already? Here’s a clue: defaults rates appear to be rising along with the issuing activity — including a steady uptick in each of the first four months of this year. And let’s not forget automobile loans, either. They’re up significantly as well — along with delinquency rates. I think history can help guide us here — and with a lot more caution than was the case back in those halcyon days of 2007. If there are problems, no one can say that we weren’t forewarned, based on recent history. What are your thoughts? Please share them for the benefit of other readers. Tax filing: Is there a better way to do it here in the United States? 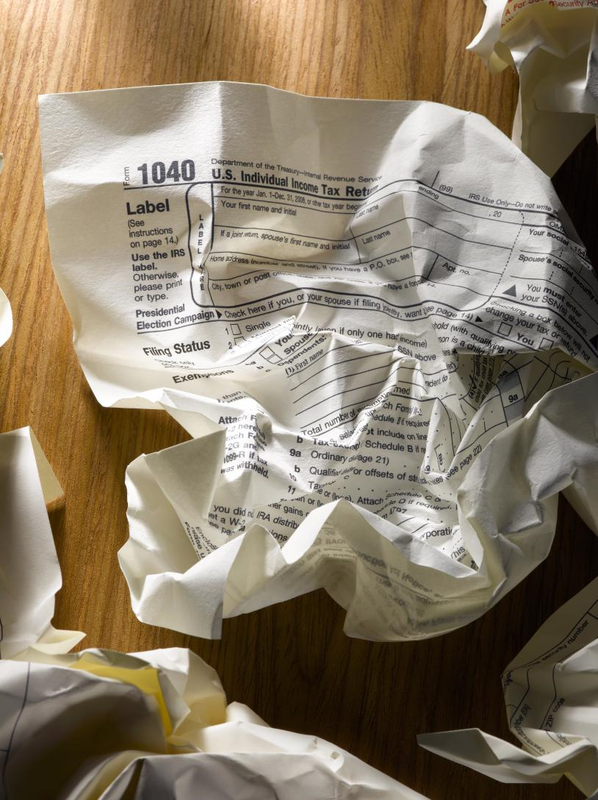 Tax filing day has come and gone, and for millions of Americans, it’s another reminder of how complicated and convoluted our current tax collection system is. For some of us, it means setting aside a couple evenings or an entire weekend to collect receipts and other relevant documentation, work through the filing documents and prepare tax information — most of which the federal government already possesses. For many others, trepidation — or just the sheer irritation of preparing their tax returns — means paying another person or a tax preparation service to do it for them. The amount of hours and dollars spent on tax preparation is rather astounding; according to a White House estimate published as far back as 2010, collectively it amounts to over 7.5 billion hours and ~$140 billion each year. Thus, the current lay of the land should make considering new alternatives just the thing to do. Along those lines, in a recent article in The Atlantic, senior economics editor Derek Thompson posited a “third way”: Why not receive a document from the government with the relevant information already filled in, and all the taxpayer needs to do is confirm the documentation? 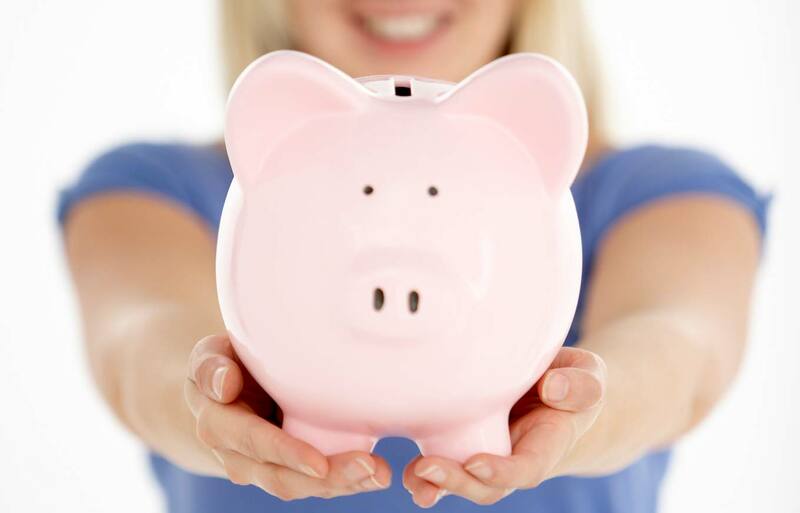 It seems like a cross between Pollyanna and a pipe dream … until one begins to realize how neatly this approach aligns with the financial lives many people lead. According to the Atlantic article, about half of American taxpayers earn all of their earned income from a single employer’s wages along with interest income from just one financial institution. This is information the government already collects, which would make it possible for the IRS to send nearly completed tax forms to these individuals. Some Scandinavian and Baltic countries have been doing this for years. In fact, a full decade ago economist Austan Goolsbee proposed this very thing for the USA. In a paper published by the Brookings Institution, Goolsbee advocated adoption of a “simple return” that would involve sending out pre-filled documents to those taxpayers who have the most straightforward taxes. Those who qualify would include approximately 9 million single, lower income taxpayers who work for a living and don’t itemize their deductions. An additional 17 million taxpayers have returns that are nearly as simple — including married couples who don’t itemize deductions. The cost to overhaul the tax collection system isn’t chicken feed — and as we all know the IRS isn’t exactly swimming in excess funds after having raised the ire of Congress through its targeting of not-for-profit entities (not to mention the not-so-trivial cost of implementing Obamacare compliance enforcement). Resistance is also coming from two other quarters. Tax preparation services are fundamentally opposed to simplification of the process because their very raison d’être depends on the continuation of a complex system that most people cannot or will not deal with on their own. Still … it would seem that any serious effort at rethinking the current tax filing system should be given all due consideration, as I have yet to meet anyone who is satisfied with the way things are today. Where do you come down on the issue? Please share your observations with other readers here. China’s controversial product supplier pledge: An “on the ground” view from the Far East. The business world is abuzz about the latest moves by China to regulate the behavior of U.S. and other foreign companies that choose to do business in that country. What’s the real skinny? While much of the reporting and commentary has been decidedly scant on details, we can actually take a look at the official document that contains the various provisos the Chinese government is intending to impose on foreign companies. #1. Respect the user’s right to know. To clearly advise users of the scope, purpose, quantity, storage location, etc. 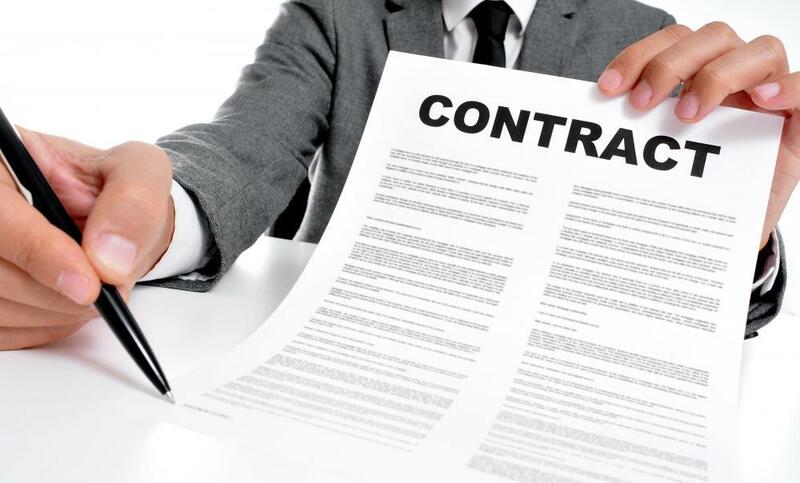 of information collected about the user; and to use clear and easy-to-understand language in the user agreement regarding policies and details of protecting user security and privacy. #2. Respect the user’s right to control. To permit the user to determine the scope of information that is collected and products and systems that are controlled; to collect user information only after openly obtaining user permission, and to use collected user information to [sic] the authorized purposes only. #3. Respect the user’s right to choice. To allow the user to agree, reject or withdraw agreement for collection of user information; to permit the user to choose to install or uninstall non-essential components; to not restrict user selection of other products and services. #4. Guarantee product safety and trustworthiness. To use effective measures to ensure the security and trustworthiness of products during the design, development, production, delivery and maintenance processes; to provide timely notice and fixes upon discovery of security vulnerabilities; to not install any hidden functionalities or operations the user is unaware of [sic] within the product. #5. Guarantee the security of user information. To employ effective measures to guarantee that any user information that is collected or processed isn’t illegally altered, leaked, or used; to not transfer, store or process any sensitive user information collected within the China market outside China’s borders without express permission of the user or approval from relevant authorities. #6. Accept the supervision of all parts of society. To promise to accept supervision from all parts of society, to cooperate with third-party institutions for assessment and verification that products are secure and controllable and that user information is protected etc. to prove actual compliance with these commitments. Often with China, there are “official” pronouncements … and then there’s what’s “really” going on behind the curtain. The key difference is that these points are not enshrined in law in Mainland China, so compliance is voluntary at the moment (as it was in Singapore until 2013) – presumably binding on only those companies that sign this declaration. News reports also indicate that China has asked only American technology companies to sign its Declaration of Commitment, implying that domestic Chinese companies aren’t necessarily held to the same standards — although if this is truly the case, it might actually put Chinese companies at a competitive disadvantage by enhancing the appeal of American technology products to discerning Chinese users. Point 4 doesn’t generally fall within the scope of existing personal data protection laws, but in my view its provisions fall well within the QA and warranty commitments that any legitimate technology company should be prepared to make in today’s competitive environment. Who exactly is a “data subject” who is entitled to personal (i.e. user) data protection? Who exactly is the “data controller” who owns the user information that is being collected or processed? Who might be the “data processor” who stores and/or processes user information on behalf of the “data controller”? The legislation and regulations I’ve reviewed in this realm provide very explicit (and varied) definitions of these entities. Unlike China’s Declaration of Commitment, for instance, the E.U. Data Protection Directive allows “data controllers” or “data processors” to transfer user data outside the E.U., as long as the country where the data is transferred protects the rights of “data subjects” as much as the E.U. It also defines which “data controllers” and “data processors” must comply with E.U. law, based on whether or not they store or process personal information with the E.U., or operate within the E.U. (regardless of where the data is actually stored or processed). The requirement to keep sensitive user information within China’s borders, in the absence of permission from users or “relevant authorities” to transfer, store or process it elsewhere, could also be seen as an attempt by the Chinese government to enlist the help of American technology companies in circumventing the U.S. government’s ongoing Internet data-gathering programs. If this attempt succeeds, it might further enhance the appeal of American technology products to discerning Chinese users. Point 6 is garnering the most headlines in the West because of the implied threat that cooperating with “third-party institutions for assessment and verification … to prove actual compliance with these commitments” could mean being forced to reveal source code or encryption algorithms. However, in classic Chinese style, none of that is actually spelled out. As for implications, China’s Declaration of Commitment shouldn’t have significant impact on companies that aren’t in the consumer IT market. At best, its first five points could potentially improve the competitiveness of American IT products in the Chinese market. However, I would advise any tech companies that may be wondering what to do, to sit on their hands for a while. Law in China is always a “work in progress,” so the safest bet is to wait for that “progress” for as long as possible. So there you have it – the view from someone who is smack in the middle of the business economy in East Asia. If you have your own perspectives to share on the topic, I’m sure other readers would be interested to hear them as well.